Walker & Dunlop, Inc. (NYSE: WD) announced today it structured a $12,000,000 refinance loan for Los Coches Village shopping center in Carlsbad, California. 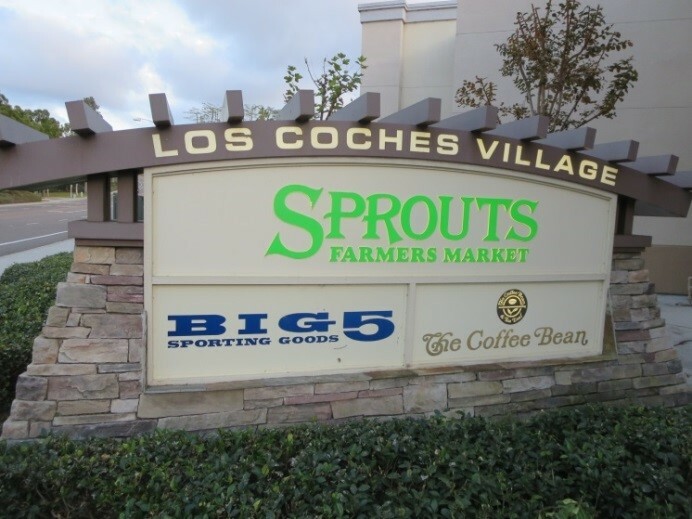 Los Coches Village shopping center is a class A, 67,000 square foot grocery-anchored property. The financing was structured as a tenyear, fixed-rate, interest-only mortgage. This project is anchored by a Sprouts grocery store and Big 5 sporting goods. The refinance of this 2006-era CMBS loan is representative of the large volume of CMBS loans that will be maturing over the next two years and can be refinanced at much lower rates. This conduit loan included amortization while the new insurance company loan is interest-only and featured a 13.7 month rate-lock at an interest rate below 4 percent, including the forward costs. Ratelock occurred with advance knowledge the previous junior anchor was leaving the property. Notwithstanding this, the lender was made comfortable with that contingency, given the high quality nature of this property and that the experienced and highly capable borrower had a reputable replacement tenant prospect for the majority of that space.